Established for 20 years we are a UK Limited company located in Bristol harbourside's creative quarter, Spike Island. We design, sell and distribute our products directly to our customers. As part of our business expansion and revamp in 2016 SFWks is the new name for the old Voss Street Furniture. Our main production and warehouse facilities are in Fishponds Bristol and we have very close ties with an excellent set of local companies for more specialist work - many of which have been involved since the early days. Prices are competitive and our service is accountable - you are never pushed from pillar to post and are always given straight honest answers even if it may be at the expense of not receiving an order. We try to keep our supply chains as short as we can and we always keep an eye on unnecessary overheads. We are committed to using only high quality materials and do not skimp on the thickness of steel or quality of timber that we use. 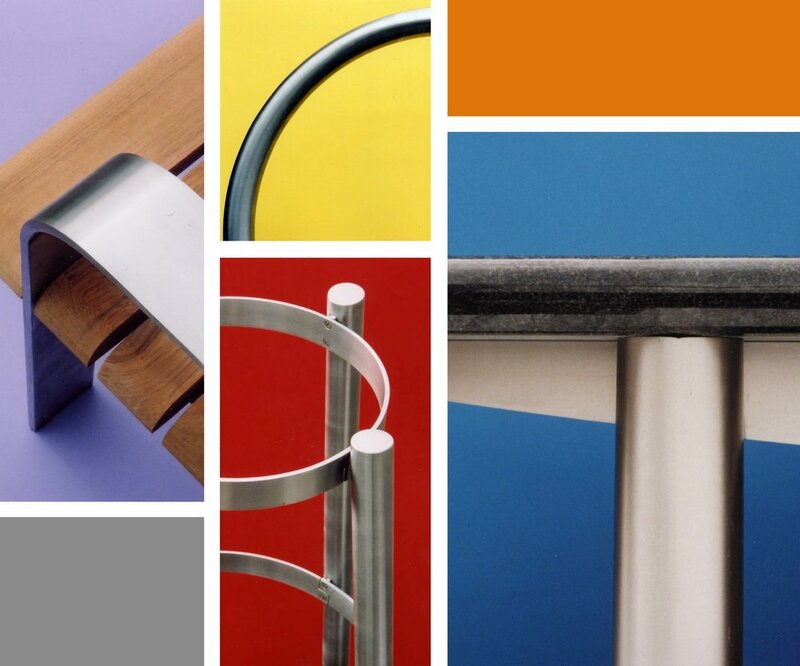 This enables our street furniture to be great value for money, especially when set against other products that just do not last as long or are uneconomic to be refurbished. We appeal to a broad range of specifiers and customers from all over the UK serving small local authorities to large private housing developments, city centre refurbishments and retail parks. We have recently been supplying lots of Bentlie seats, Ellipse bins and Cirque cycle stands to prestigeous residential schemes in London such as Vista Chelsea Bridge, Aberfeldy Village, Goodman's Field and Maple Quays. Media City in Salford have hundreds of our Crossbar cycle stands and over 50 Bertie seats went into the major new River Ness Flood Alleviation scheme in Inverness. 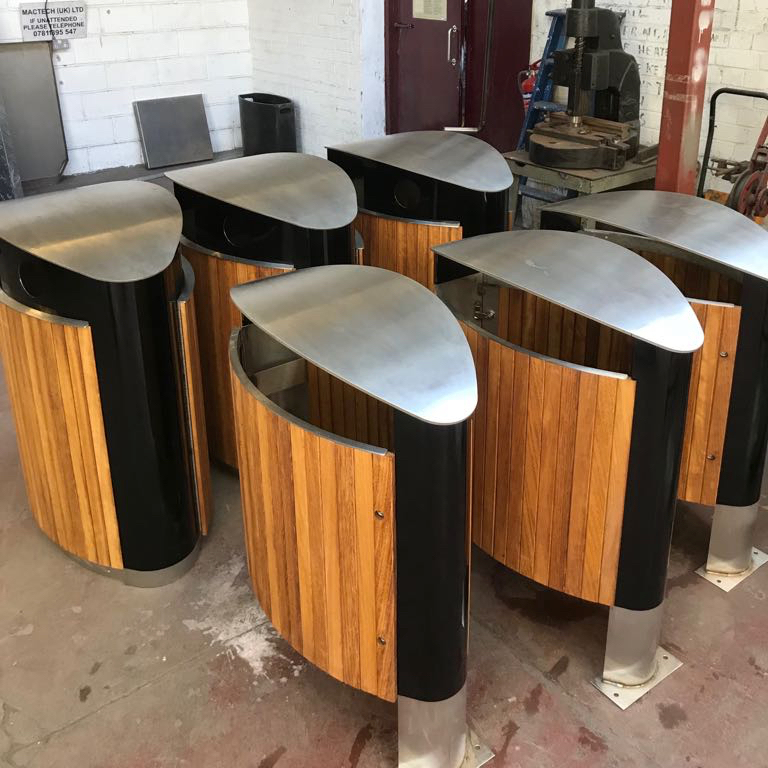 You will also see many of our timber Ellipse litter bins used in a number of central England retail parks as part of their recent refurbishment by English Land. And look out for lots of examples installed in one off projects in pockets all over London and the south east and in our regional town and and city centres lately including Stevenage, Didcot, Reading, Wokingham, Bristol, Swansea and Cardiff.